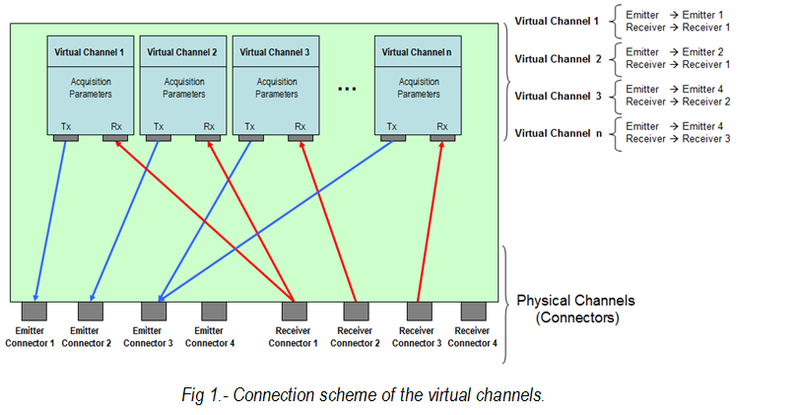 The multi-channel system for air-coupled ultrasound. 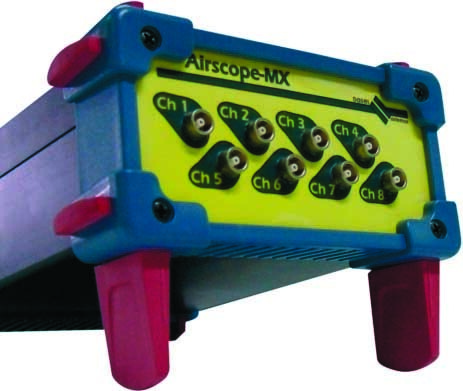 With AirScope MX you can work with multichannel air coupled transducers. 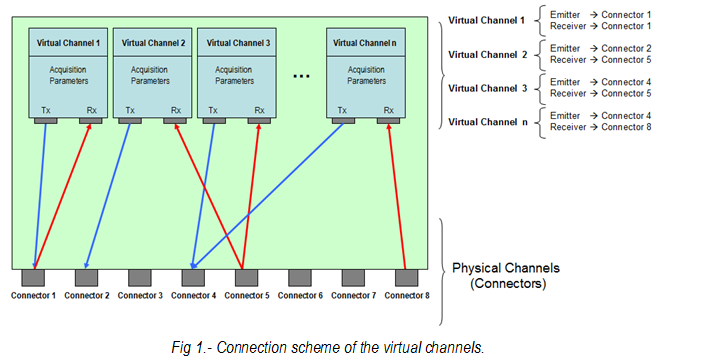 Configurations between 4 and 8 Multiplexed channels are available. 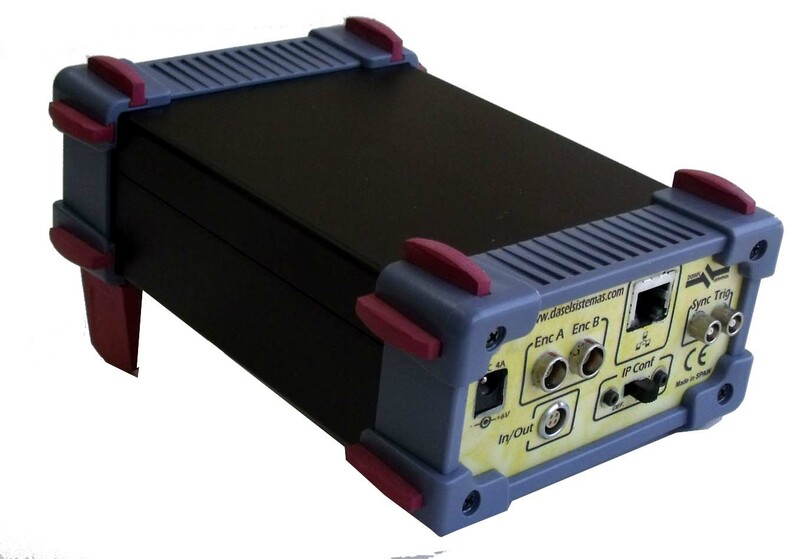 AirScope MX includes a flexible software to easily configure different air coupled techniques (Plate wave, TT, etc). 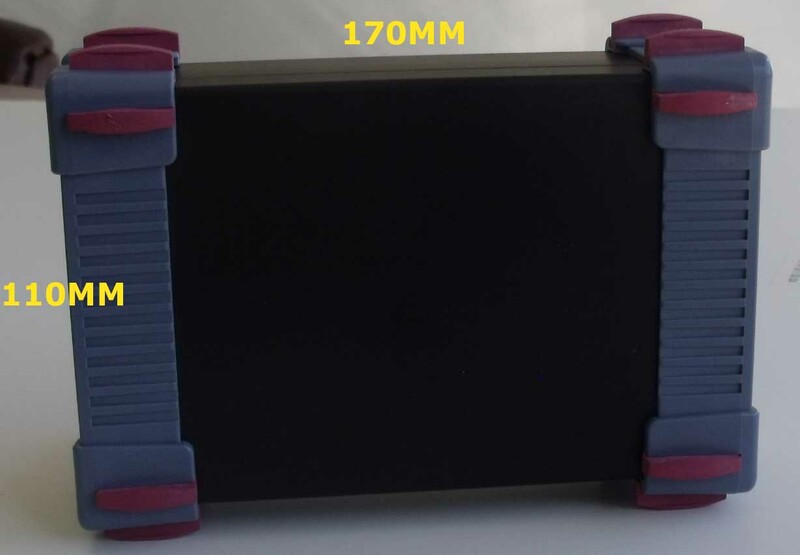 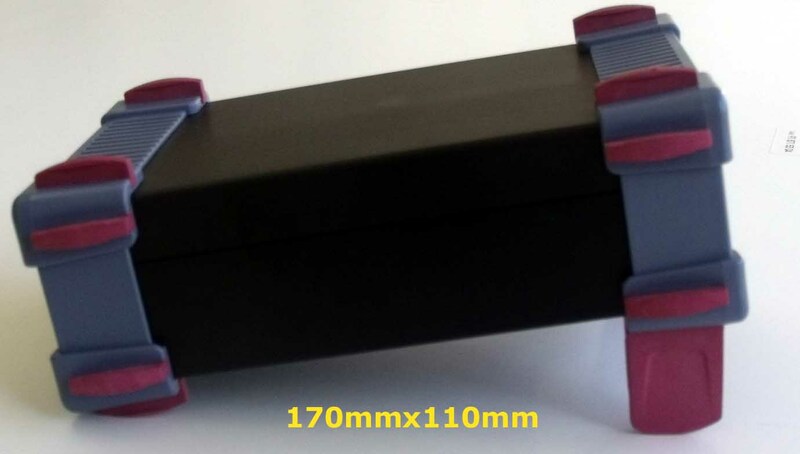 The AirScope system has 4 physical multiplexed channels for emission (connectors) and 4 physical multiplexed channels for reception (connectors). 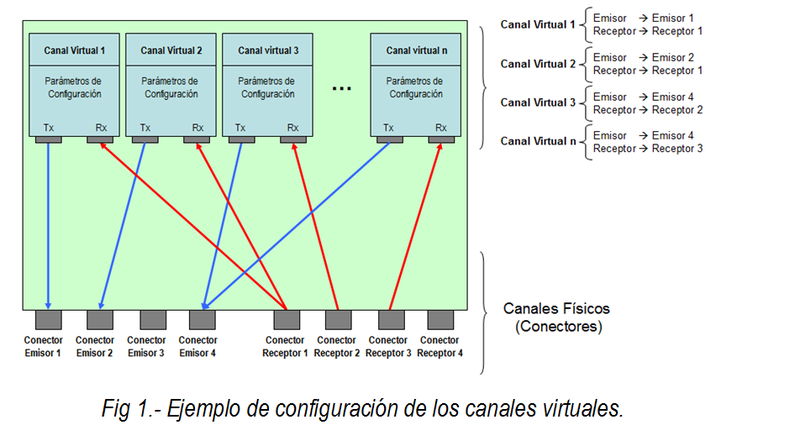 The user can program an acquisition sequence with up to 32 virtual channels, these virtual channels are defined assigning one connector for emission of the pulse and other connector for reception of the signal, and it is possible to share connectors between virtual channels.